A stupendous gin made by the expert spirit makers at Bruichladdich distillery. The Botanist is made in the famous Ugly Betty Lomond still (which was salvaged from the closed and demolished Inverleven distillery), a mixture of a Coffey still and pot still – Coffey on top, pot on bottom. This gin has a truly awe-inspiring list of botanicals, numbering 31 in total, with 22 being botanicals foraged from the isle of Islay itself, including most crucially of all, wild Juniper from Islay. These botanicals are featured raised upon the bottle’s glass. It offers then a true taste of the island. 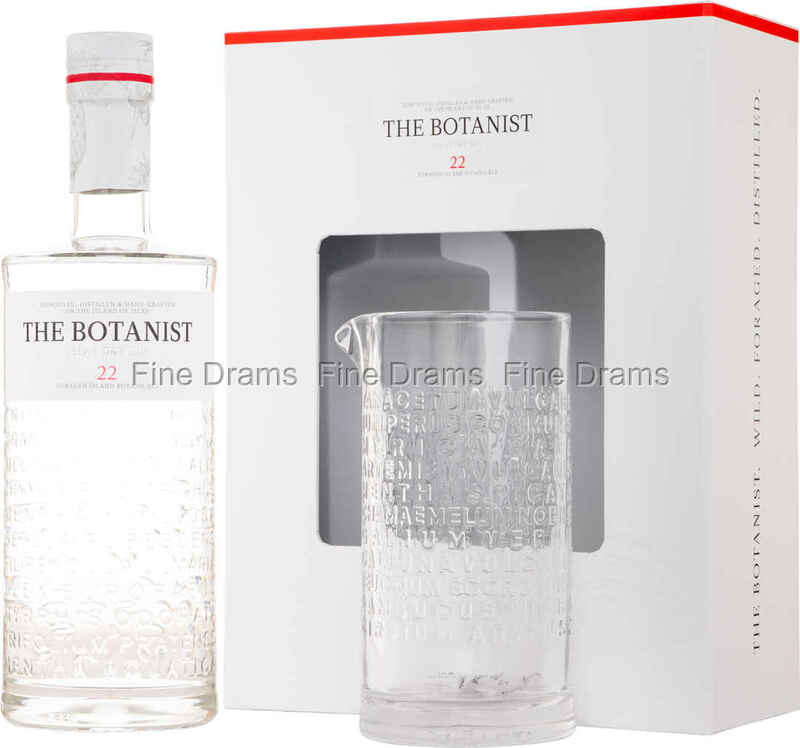 The Botanist manages to keep a very good balance, despite the long list of botanicals. The gin serves up a heady citrus aroma, followed by a cool juniper note, and flavours of bright, intense and warming spice. Bruichladdich believe in doing whisky properly, and the same is the case for their gin, which is bottled at a very respectable 46% ABV. This bottle comes in a set with a charming mixing glass, which matches the bottle’s design and is perfect for stirring up a cocktail in.